There is absolutely no shortage of unique architecture in the New South. Invesco, an investment management firm originally founded in England and Wales in 1935, has a most unique building at the north end of Midtown in Atlanta, which happens to be their global headquarters! 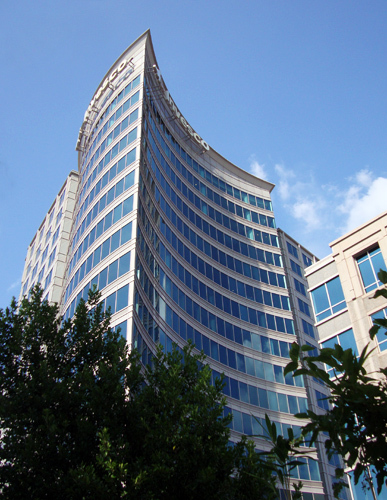 The building is directly across the street from Equifax, the largest credit reporting company in the United States. It also is the center of the company's total managed assets. At the close of the second quarter 2011, those assets represented approximately $674 billion...I can only imagine how stunning this headquarters building is inside.